HARNETT COUNTY, N.C. (WTVD) -- Police arrested a man who allegedly killed three people, including a child, Friday night. Harnett County deputies have charged 24-year-old Kareem Daquan Taylor with three counts of first-degree murder following the incident. Officials say Taylor was apprehended at 207 Constitution Way in Cameron around 11:20 p.m. Saturday. Taylor is being held in the Harnett County Detention Center with no bond, the Sheriff's Office said. The incident originally happened in the 140 block of Forest Manor Drive. Sheriff Wayne Coats said deputies arrived and found the three bodies but also found one survivor, a child. Coats said the case is being investigated as a "triple homicide." Harnett County officials identified the two adult victims as 22-year-old Jocelyn Perkins and 20-year-old Jasmine Perkins. A spokesperson with the Harnett County Sheriff's Office said that Jocelyn and Jasmine are sisters. Additionally, the infant victim is said to be the child of Jocelyn and the suspect, Kareem Taylor. Coats said someone entered the house shortly before 6:30 p.m. and found a person dead. People in the area told ABC11 that they heard gunshots. The sheriff has not confirmed whether the victims were shot. 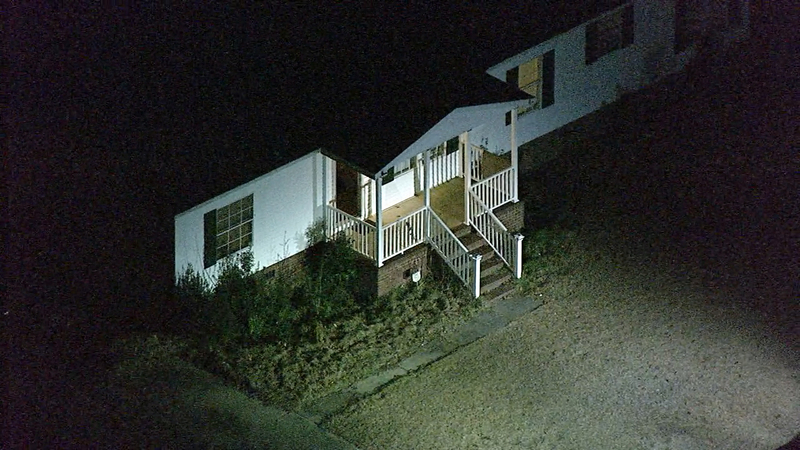 Chopper 11 HD over the scene of where three people were found dead in Harnett County. Coats did say that he did not think that area residents were in any immediate danger.